Taken 25 Sep 1955. Two former North London 0-6-0T locos at Middleton Top with an Ian Allen High Peak Rail Tour, 58860 leading . Taken 1959. Inside the shed, an LNER 4F 0-6-0 J94 Saddle tanker. Introduced 1943, a Riddles design for M.o.S. based at Middleton Top after 1956. Like the windows, pity about the roof! © Nick Metcalfe, with permission. The J94s proved to be particularly useful on 'difficult' branch lines such as the Brymbo branch in North Wales and the East & West Yorkshire Union line (E&WYUR). Their most famous workings of this nature, were on the Cromford and High Peak line in the BR's London-Midland Region. Three J94s were allocated to the line in 1956. 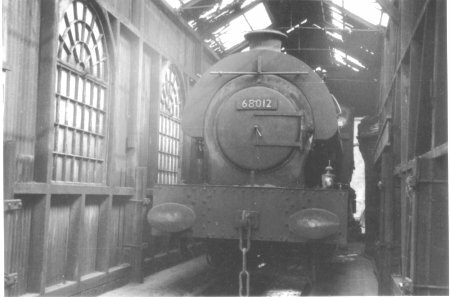 One engine was based at Cromford and made transfer trips between High Peak Junction and the bottom of the incline. The other two were based at Middleton Top and operated workings to Friden and Parsley Hay. By 1962, four further J94s had been allocated to the Cromford and High Peak. Withdrawals started in 1960. The last two J94s were withdrawn in 1967 after the last section of the Cromford and High Peak line was closed. Number 58856 takes a drink at Middleton Top. 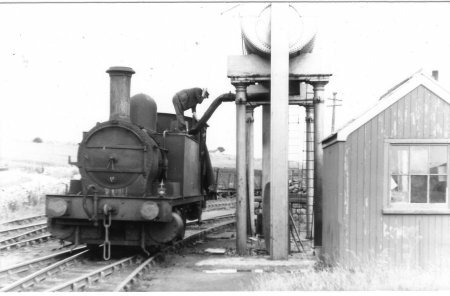 The fireman pulls a "toilet chain handle" to get water from the unusual elevated water tank into the engines tanks, by the side of a shunter's cabin. The 2F 0-6-0T class was built in 1879 for the North London Railway, weight 45 tons, pressure 160 lbs, wheels 4ft 4in, Tractive Effort 18,140 lbs. 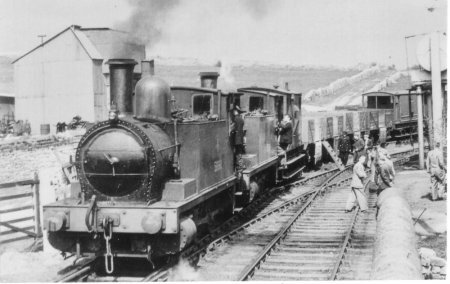 In 1926 the engine was transferred to the LMS (numbered 7515 then 27515) and in 1949 to BR. 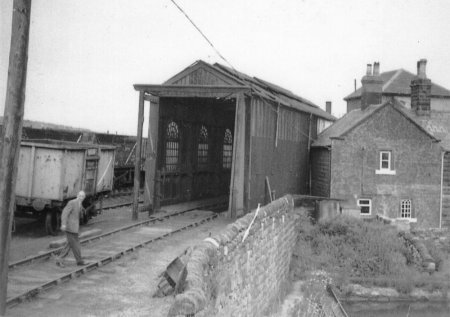 The shed code in 1956 was 17C (Coalville). The still-preserved Middleton Top Engine House is just off-frame on the right. It is now an industrial monument, the only one of eight to survive. The year 1931 saw the arrival of the ex-North London Railway 0-6-0 side tanks LMSR 7511 and 7521. These were very powerful machines, with a short wheelbase suited to the sharp curves of the line. 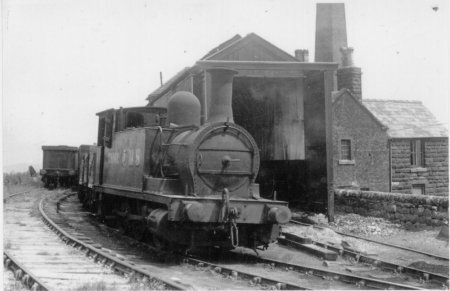 Several engines of this class were allocated to Rowsley for the Cromford & High Peak Railway, subshedded at Cromford Wharf (one) and Middleton Top (two). Nos 58850, 58856, and 58862 (BR numbers) all saw service in BR days. These engines performed their duties very well, and the sight and sound of one of them roaring up the Hopton Incline, showering the countryside with red-hot cinders from a plume of smoke and steam, is never forgotten. Date uncertain. 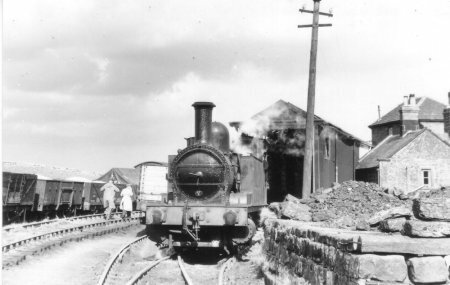 2F 0-6-0T 58862 (in 1926: 2750, later 27530) at Middleton Top. Pressure 160 lbs, Cyls: 17" x 24", Dr. Wheels: 4' 4", T.E. 18,140. © uncertain, (possibly E.R.Morten), from seacoaler.